Comic Jim Gaffigan On Stand-Up, Faith And Opening For The Pope On Saturday, Gaffigan will perform for an audience that may include Pope Francis. A practicing Catholic, the comic says faith is a central part of his humor. Jim Gaffigan is the author of Dad is Fat and Food: A Love Story. 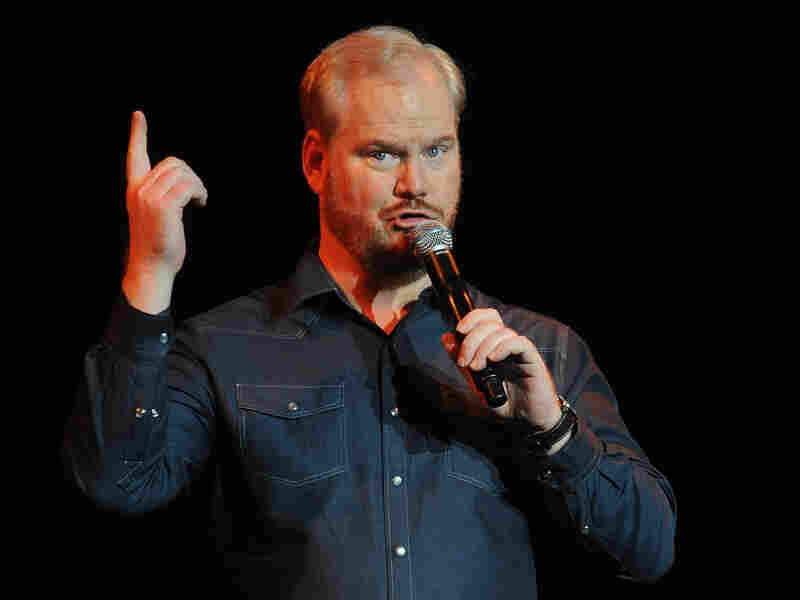 The Jim Gaffigan Show, which airs on TV Land, was recently renewed for a second season. Comedian Jim Gaffigan has a big gig on Saturday: He's performing at the World Meeting of Families in Philadelphia for an estimated audience of 1.5 million, including, perhaps, Pope Francis. "I think I might be opening for the popemobile driving in," Gaffigan jokes to Fresh Air's Terry Gross. A practicing Catholic, Gaffigan has made his faith a central part of his comedy, both in his stand-up act and in his TV series, The Jim Gaffigan Show. But he wasn't always comfortable talking about his beliefs. When he was starting out, he says, "I really steered away from it." Over the years, though, Gaffigan warmed to the idea of including his faith in his work. "My faith is very personal," he says. "It's not something that I want to project on other people, but some of my fear and anxiety surrounding it, I think, provides some good comedy for my act." Talking about it, doing interviews like this, makes me realize that I should be more prepared. ... I'm definitely going to be prepared, but I don't know what I'm going to say when I step onstage because the environment is going to inform it. The reason why I say I'm a horrible person is I don't want myself to be presented as somebody who is a great Catholic. The idea of being a practicing Catholic, for me, it's like I need a lot of practice. I do get nervous, so even being presented as somebody who will be performing at this event there's a little bit of concern or an expectation that I'm going to get a call and they're going to say, "Look, we did some research. You really shouldn't be performing, but if you want to pick up garbage after the show maybe we could have you do that." I think stand-up comedy is this kind of indulgence and narcissism. ... Because stand-up comedy is one of the few meritocracies in the entertainment industry, there's some kind of, at least for me, some kind of idea of control. And my faith kind of keeps me in touch with the idea that I'm not in control of things. When I'm in touch with the idea that there is a higher power and there [are] other factors at work, it kind of quells my narcissism, and a lot of the teachings really kind of keep me grounded.